A 5 High-Protein Foods For Weight Loss Add To Your Breakfast, If you are on a weight loss diet plan, a lot of people must have told you about their morning rituals to shed those extra kilos. One of the most trusted ways to cut belly fat is to grab a protein-packed breakfast. Protein helps induce the feeling of satiety, as it takes longer to digest. It also regulates the hunger hormone ghrelin, which helps in keeping cravings at bay. Consuming protein also helps in the secretion of gut hormone-Peptide YY, which makes you feel full. Now, we understand a lot of us are often pressed for time to enjoy a good breakfast, but one needs to understand how essential it is for overall health and weight loss. 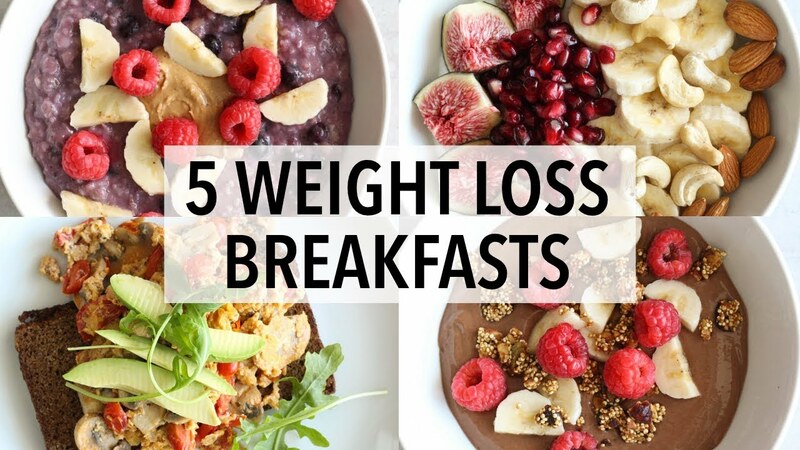 Breakfast helps kick-start the body’s metabolism. The slower the metabolism, the tougher it gets to lose weight. It’s time to put an end to all the excuses. There’s a lot that you can do to prepare yourself a quick and filling breakfast. Here 5 High-Protein Foods For Weight Loss Add To Your Breakfast So, make sure you make these ingredients a part of breakfast from today. 1. Eggs: The Eggs are enriched with B vitamins, Vitamin D and nutrients that help balance blood sugar levels. They are also known to be good for the heart and support the healthy function of nerves and brain. Eggs are also the best bio-available source of protein and are excellent to boost your metabolism. You can have them poached, scrambled or soft-boiled. If you have a cholesterol problem, you can rule out the yolks and just work around the whites. 2. Milk: The Downing a tall glass of the milk has been a morning ritual in several Indian households. In addition to keeping your bones and teeth strong, milk is also packed with high-quality proteins, which can help in muscle-building and weight loss. According to the book ‘Healing Foods’ by DK Publishing House, milk also has high amounts of Vitamin B3 (niacin), which may help maintain a steady weight and improve energy expenditure. 3. Greek Yogurt: Greek yogurt is just yogurt with its whey strained out. It contains twice the amount of protein and half the carbs when compared to normal yogurt. Since it is also drastically low on sodium content, it helps regulate the water weight as well. If plain Greek yogurt is too boring for you, you can spruce it up with some berries, seeds and nuts. 4. Oats: Not just loaded with protein, oats are also a good source of fiber. Fibre takes time to digest and stays in your system for a long time giving you the feeling of fullness. When you are feeling full, you are less likely to inch towards anything fattening or heavy. Here are some fun oats recipes you can try at home. 5. Nuts And Seeds: Nuts and seeds like almonds, walnuts, chia seeds, and flaxseeds are excellent vegetarian sources of protein that you can nibble into anytime of the day. Starting your day with these nuts and seeds could help give a kick-start to your energy levels and also keep you warm from within. Here 5 High-Protein Foods For Weight Loss Add To Your Breakfast So, make sure you make these ingredients a part of breakfast from today. Disclaimer: This content including advice provides general information only. It is in no way a substitute for a qualified medical opinion. Always consult a specialist or your own doctor for more information. theprimetalks.com does not claim responsibility for this information.